A chance introduction to the tricky issue of water pollution first attracted Diana Bautista to science. Growing up in Chicago, she was the first member of her family to finish high school, and she began college as a fine art major. But she floundered, and soon dropped out to figure out what she wanted to do. A temporary job for an environmental group sent her to a public hearing about dioxin contamination in the Great Lakes. “It really got me thinking about chemistry and epidemiology and human disease, and I started teaching myself some things to be able to understand scientific reports,” Bautista says. She set her sights back on school, choosing an environmental science program at the University of Oregon because it included chemistry as well as ecology. Once there, however, a neuroscience class captured her attention—as did a fateful work-study placement, in which she was tasked with making fly food for Peter O’Day’s lab. His team was investigating visual transduction in fruit flies, and O’Day fostered her interest by letting her do experiments and teaching her about cell signaling and the nervous system. Eventually, he asked Bautista if she had ever considered a career in research. “I was shocked when I found out that you could get paid to go to graduate school,” she recalls. 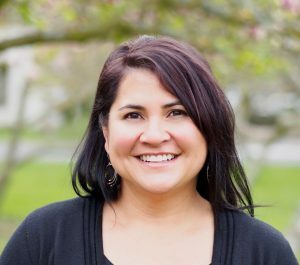 Bautista earned a Ph.D. at Stanford in the laboratory of Richard Lewis, where she studied calcium channels and transporters and how they work together to control calcium dynamics. She was fascinated by the notion that a molecule as ubiquitous as calcium could have varied and specific effects in different cell types, and learned to probe these effects with calcium imaging and electrophysiology. For her postdoc, she returned to her first love, sensory neurobiology. Working with David Julius at the University of California, San Francisco, she set out to apply the biophysics and cellular techniques she had just mastered to the study of pain signaling. In 2008 Bautista launched her own lab at UC Berkeley. 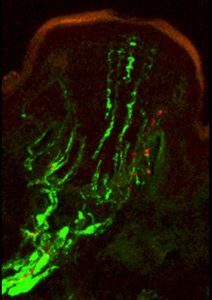 Two years later Bautista became a Rita Allen Foundation Scholar, and her lab began to use knockout mice to investigate whether sensory signaling molecules involved in pain were also implicated in itch. The wasabi receptor, TRPA1, they found, seemed to specifically mediate chronic itch that is insensitive to antihistamine treatment. Since then, Bautista’s team has begun to explore how skin cells and immune cells collaborate with the nervous system to drive chronic itch. They have also identified several subtypes of somatosensory neurons that appear to be dedicated to acute and chronic itch, separate from the pain pathway. Here, Bautista muses on the mysteries of itch, explains her group’s work with an unusual research animal, and reflects on the power of collaborative approaches in science. What’s so compelling about studying pain and itch? When I started looking through the literature and reading about pain, I didn’t see much published on the molecular mechanisms of pain signal transduction and hypersensitivity. I thought I must not be looking in the right journals, and so I asked my thesis committee where to look. And everyone said there wasn’t a lot known about touch and pain from a molecular and cellular perspective. That seemed shocking to me. That’s such a fundamental thing—how we experience tactile sensations, and how pain—whether it’s cold pain or mechanical pain—is detected by the nervous system. While people see the need for studying chronic pain, chronic itch is a little bit under the radar. In the past, that was true of pain: It was generally considered as a secondary aspect of other diseases, and not necessarily something that needed to be studied in and of itself. But these days, chronic pain is acknowledged as a highly debilitating condition that affects millions of people. Meanwhile, I think most of us think about itch as just some irritating thing that goes away a couple days after you get that mosquito bite. We really have to change that. Yes, it does accompany many diseases, but it is a disease in and of itself that causes a decreased quality of life, on par with that of chronic pain. What was it like working with the star-nosed mole? Rita Allen Foundation Scholar Diana Bautista has studied the molecular basis of touch in the star-nosed mole, which has a collection of 22 unusual-looking mechanosensory appendages, or rays, surrounding its nose. This is the most sensitive tactile system in of any animal. It’s a really interesting animal. We are interested in touch all along the spectrum, from how we experience pleasant or gentle touch, to painful, mechanical transection [a cut in the skin], to itch. We wanted to use the star-nosed mole as a model for understanding light touch because it has a specialized touch organ called the star organ, which is the most sensitive tactile system in the animal kingdom. The moles live in tunnels, and they compete for food with a lot of other animals. They have the ability, using this tactile organ, to detect small insects and larvae in these tunnels that other animals can’t detect at all. We collaborated with Ken Catania at Vanderbilt, who is the world’s expert on star-nosed moles, to look at these animals’ tactile system to try to figure out what makes them so sensitive. The idea was to use the mole as a model system to figure out what molecules are selectively mediating light touch versus pain. We identified a number of candidate genes that were enriched selectively in the neurons that innervate the touch organ, and we’re looking at the role of these genes in the mouse and human sensory systems. We’re also interested in exploring how it is that the mole tactile organ is so touch-sensitive and yet relatively insensitive to pain. The sensitivity of the star-nosed mole’s tactile system is mediated by tens of thousands of specialized touch organs, called Eimer’s organs, which stud the rays of its star. Shown here is a confocal micrograph of a single Eimer’s organ, with a neural cytoskeletal protein stained green and substance P, a touch- and pain-associated neuropeptide, stained red. What research directions are you most excited about now? I realized that to really understand chronic itch and chronic pain and inflammatory disease, we will need to think globally. I’m trained as a neuroscientist, and I came into this field thinking about how the neurons transduce information. But when you look at all of these inflammatory disorders, you see that it’s not just the nervous system that’s acting crazy and hyperactive. The epithelial cells, the immune system and the nervous system are all acting in abnormal ways. So my goal is to define how these different systems—these pathways and cell types—are interacting with one another to drive the pathophysiology of disease. I’m having a lot of fun finding collaborators in different fields who are excited about this, and finding ways to bring our different perspectives together to tackle it.